The Federal Capital Territory (FCT) High Court, sitting at the Apo, Abuja Judicial Division on Friday struck out a post-election matter instituted by Senator Godswill Akpabio, following his defeat by former Deputy Governor, Engr. Chris Ekpenyong, in the just- concluded National Assembly election for Akwa Ibom North-West Senatorial District, TheNation has reported. Akpabio, former Senate Minority leader, defected last August from the ruling Peoples Democratic Party (PDP) in the state to the All Progressives Congress (APC) under which it sought reelection ticket. But he was defeated by Ekpenyong, who polled over 118,000 votes as against his over 83,000 forcing the former governor to run to Abuja court with suit no: FCTHCM268019, to seek an order of Mandamus compelling INEC to review the result. But the presiding Judge, Justice Valentine Ashi of the FCT High Court dismissed the matter, following the application by the Counsel to Akpabio, Mr. Sunday Ameh (SAN), that the case is withdrawn forthwith. The senator-elect Ekpenyong commended his kinsman for taking the right decision to pull out from the case, saying “no man can challenge the divine mandate freely endorsed by the people of Ikot Ekpene Senatorial District”. Speaking on the matter on Friday, Ekpenyong urged Akpabio “to demonstrate the good spirit of sportsmanship by willingly accepting defeat in good faith instead of overheating the polity by giving the people false impression of rigging during the contest”. He recalled: “In 2007, even when he rigged the elections and won, I, as one of the contestants accepted defeat and congratulated him. “In 2011, I had done everything to go for Senate but he tricked me to step down for another person, even when I and the former Minister of Petroleum, Atuekong Don Etiebet, had knelt down to beg then President Goodluck Jonathan, to give him (Akpabio) soft landing to go for a second term. “When I did all of these, I was conscious of the fact that there must be one governor at a time and that was his own time as designed by God. “So this current mandate for the people of Ikot Ekpene Senatorial District has also been ordained by God for me to lead the people of my zone and to show them leadership direction from the Red Chambers in the next four years. “We are a highly Republican people. We don’t have what they called Dynasty in other places. “In Annang ethnic nationality, leadership must evolve for the dividends of democracy to spread across all the 10 Local Government Areas that constitute the Senatorial District. The post Just In! 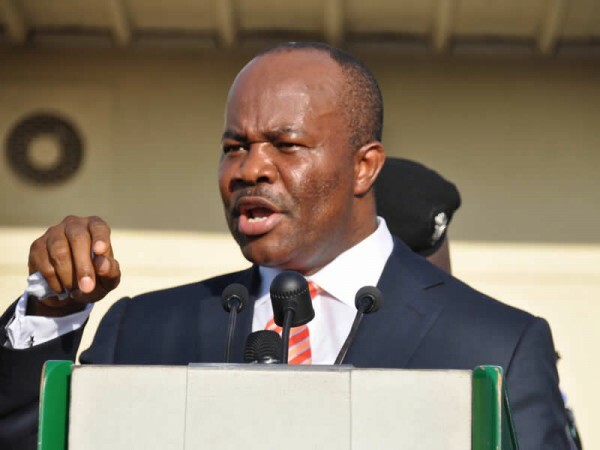 Akpabio Gives Up, Withdraws Suit Challenging His Election Loss appeared first on Naijaloaded | Nigeria’s Most Visited Music & Entertainment Website.